Home » Want to Be a Better Writer? Hit the Books! We all know what makes for a good novel - an intriguing plot line, beautiful language, a cast of inimitable characters, and always, a shocking twist. As a writer, you are probably conscious of all the ways you can keep your reader reading, but what about your own reading? Many writers can make the mistake of not reading - in general, and in the particular genre or market they wish to enter into with their own book. There's a fantastic quote by Henry David Thoreau that speaks to this issue: "How vain it is to sit down to write when one has not stood up to live." In a similar sense, writers can gather valuable life experience through the help of books. Reading is something that can always improve our writing, and the amazing benefits of reading are therefore crucial to your book's eventual success. With this knowledge, you can then be better prepared to sit down and write. Writers who read constantly are always inspired by the latest fiction, or the latest poetry - the latest in the field, which gives them new creative ideas to test out for themselves. When there are so many incredible books out there , you can utilize everything you read to make you a better writer. In addition to the ways that reading makes you a better writer, there are also numerous benefits for you as an individual. 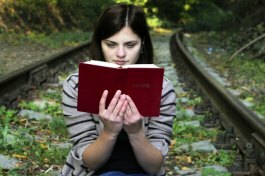 Research on reading's influence on the brain shows that spending time with books has a positive influence on the psyche. Also, with increased blood flow to the brain, your mind will genuinely function better and make for more neural connections. Plus, reading has a positive impact on your ability to handle stress and to keep your brain in shape as you age. This is due to reading's ability to make us feel more inspired, relaxed, and in touch with our emotions. For writers, this will lead to better writing, as you will be able to cultivate a broadened sense of empathy and relationship to your readers through books. With all of these advantages to reading, why wouldn't you make more of an effort to pick up a book each day? Like Thoreau said, it just doesn't make sense not to reap all of the positive experiences of reading before you sit down to write, so go for it! Jane Sandwood is a professional freelance writer and editor with over 10 years' experience working across print and online. She moved into freelancing to take advantage of the flexibility and work-life balance it offers. When Jane isn't writing, she is busy spending time with her family. She also enjoys music, reading and travelling whenever she can.